Starburst effect comparison between white and red light. The light is omnipresent in the Universe and the environment. This is an electromagnetic radiation, that can be detected by the human eye. I have written more about the light and the ways of measurement it in this article. Now I would like to describe a very common process, occurring both in Universe and on Earth’s atmosphere, which is a light transition. This article will be a far simplification of this process. I am not going to bombard you some formulas and heavy scientific stuff. I would like to show you this common process practically. The transition of light refers much more to medium rather than to vacuum. The transition of light is a kind of molecular electronic transition, where electrons in a molecule are excited from one energy level to a higher energy level. The energy change associated with the transition determines many molecular properties such a colour. A relevant information in the Landau Theory, which covers a general phase transition mechanism. The light transition is the part of this mechanism, that happens abruptly and is associated with a sudden light level difference. This process is related with the difference between illuminated and shaded areas in conjunction with human eye perception. Basically we have light and shadow. That’s simple issue. If something is not illuminated, is shaded. However we have to figure out, that despite the distance between illumination source and object shaded we always have the half-shadow zone. 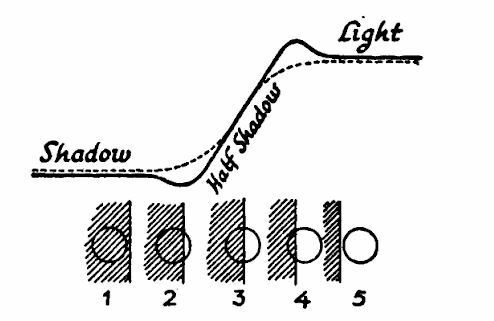 Every half shadow has a bright and dark edge near the transition of light from full illuminated area to half shadow and from half-shadow to shadow (Pic. 1). Pic. 1 The light transition between the fully shaded and illuminated area (Gilles, Minnaert, 1954). This is a human eye perception effect, which is quite easy to spot, especially on plane coloured surfaces (Pic. 2). Pic. 2 A light transition between fully shaded and fully illuminated areas. In each case this is pretty much plain coloured surfaces. Red arrows mark the brightest “line” between illuminated part of the surface and the half-shadow area. This “line” is an external half-shadow border at once. A blue arrows shows another “line” located at the half-shadow and shadow border, which is the darkest. Inner part of the shadow appears to be slightly brighter than toards the edge. This illusion will appear everywhere, where the beam of light encounters some hindrances. These obstacles can hide an illumination source totally or partially. It depends on the size of this obstacle against the (angular) dimensions of the light source. Sometimes, when the hindrance (seen from some surface) is too thin or small to cover totally the illumination source, then only a half-shadow occurs. In this case we can also spot this aforementioned brightest “line” between fully illuminated and partially shaded area. Another “line” is drawn at the border between a half-shadow and shadow. Maybe you will able to notice, that inner part of the fully shaded areas appear to be a bit brighter, than towards the shadow edges. It’s good to mention, that sometimes we can see more than one shadow (Pic. 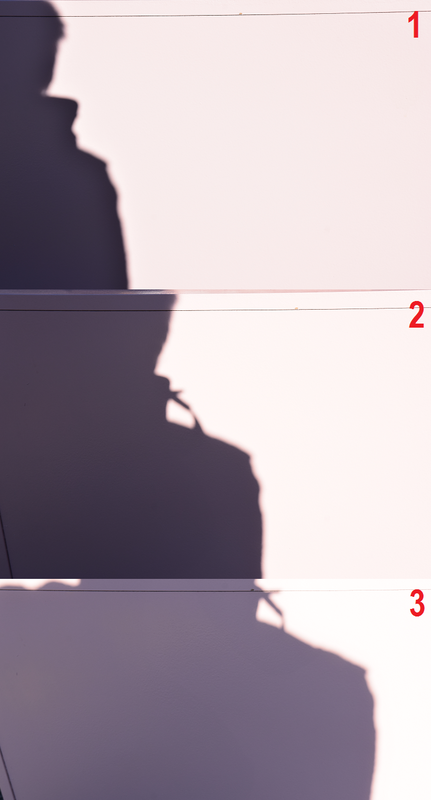 3, 4), which not necessarily must cover the light source totally. Pic. 3 The double shadow mechanism, which is the most popular for leafless trees, when 2 twigs hinders the solar beam at once (Gilles, Minnaert, 1954). Pic. 4 The double shadow mechanism is to be seen i.e. under the trees. 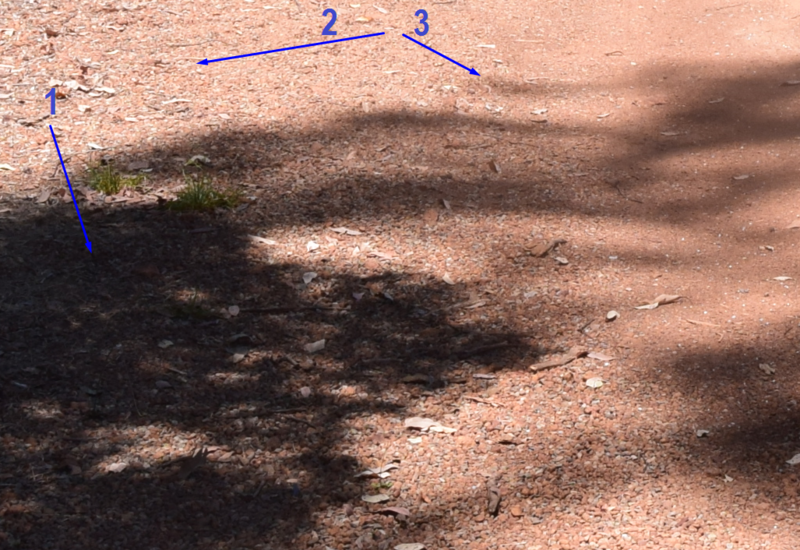 There are 3 major areas marked by blue arrows: 1 – completely shaded, where 1 or more shadow covers the illumination source totally, because is close enough to the surface, 2 – one or more shadows casted by twigs and foliage produce a half-shadow only, because they are too far from the surface and smaller than illumination source at once, 3 – fully illuminated area. When we have more shadows covering the illumination source at once, with beams still coming through, then only half-shadow is produced. In this case the light transition is less pronounced. A similar contrast phenomena we can observe on undulating ground, where this bright illusion is observed just above the ground being closer. This is agreed with the Machs bands – an optical Illusion, where contrast between edges of the slightly different shades is exaggerated. It is an effect of human eye perception, triggering edge-detection in this case. In the result the contrast-band always appear to be an exaggeration of the curvature (Gilles, Minart, 1954) (Pic. 5, 6). Pic. 5 The theory of Mach bands appearance on site, when looking far. Undulating area causes a conntrast illusion. When you screen off the image to dotted line square only you got better effect of it. Looking on one examplar hill range we can see, that is slightly brighter on the bottom likewise the left part of the image, where the boundary between adjacent shades, where darker area falsely appear even darker and brighter area falsely appear even brighter (Wikimedia.org/Gilles, Minnaert, 1954). Pic. 6 A live Mach bands example, which often merges with a bigger haze intensity in the lowest part of the planetary boundary layer. The Mach bands illusion is the best to see during the transparent air conditions. Bryce Canyon National Park – looking towards Grand Staircase-Escalante National Monument, Utah, USA. This example can be also observed during a partial solar eclipse, when shadows cast by Sun dissappear and reappear asymmetrically as an eclipse progress. These changes can be explained as due to changes in the shape of the prenumbras of shadows as the visible portion of the Sun forms crescents of different orientation (Ross, Diamond, Badcock, 2003). A light gathering power is the most important ability for observing the light by the human eye. Another feature of human eye is ability to adjust to the illumination level on stupendous range between the faintest stars and the brightest light, being about 100 trilion times stronger (Schaaf, 2002). Even a full Moon is actually 465000 times dimmer than the Sun (Schaaf, 2002). All this shows how easy the human eye adapts from day to night conditions and other way round. The eye works with two fundamentally different (though partly overlapping) systems in bright light and dim, referred to my previous article about light around us. There I mentioned about the photosensitive retinal cell, which responds well in these different light conditions. Everyone is familiar with the changes in pupil size due to changing light intensity: the pupils are small in bright light, large at dim. The pupil diameter can dilate from about 2mm in full light to 8mm in full darkness, however as person ages the pupil dilation ability is lower leading to decrement the light-gathering power. Fortunately this defect is not significant for most of our life as observational experience. The ability to see the faint objects to the naked human eye is the dark adaptation. As I mentioned both above and also in my previous article a human eye has a two major kinds of photosensitive cell: rods and cones. Cones work well in a bright light, giving ability to distinguish colors. Rods work well in dim light and cannot distinguish colors. The adaptation to particular level of light takes a while and depends on the level of transition. In extremal cases, when you go outdoors at night from a brightly lit interior you are not able to see faint stars for a while. The rods needs to redevelop in darkness in a matter of minutes. For the biggest difference in illumination the improvement of ability to see faint objects may take from 15 to 30 min to be mostly accomplished (Schaaf, 2002). The ability to see the faint objects to the naked human eye is the dark adaptation (Pic. 5). This dark adaptation must be also considered in terms of pre-adapting light conditions, which level can vary depends on the illumination difference between bright and dark area. The intensity and duration of pre-adapting light is strongly associated with a light transition area. When this light transition is better pronounced, what is caused both by bigger illumination difference between two separate areas and the width of the half-shadow area, then the intensity of pre-adapting light will be bigger. In this case, when the level of pre-adapting luminance is higher, the duration of cone mechanism dominance extends, while the rod mechanism switch over is more delayed. In addition absolute treshold takes longer time to reach. The opposite is true for decreasing the levels of pre-adapting luminances (Barlett, 1965) (Pic. 8). Pic. 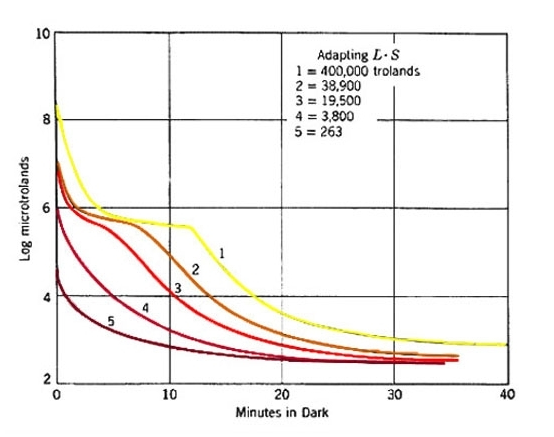 8 Dark adaptation curves following different levels of pre-adapting luminances (Barlett, 1965). The illuminance impinging on human eye is measured with the Troland (Td) units, where we have a procuct of photoptic (or scoptic) luminance and pupil area (Pic. 8). If the half-shadow area is less pronounced, what happens basically when the obstacle has much bigger angular dimensions, than source of light or is too close to the illuminated surface, which in this case is a human pupil. Then the pre-adapting light have much shorter duration and the decrease in dark adaptation is more rapid (Pic. 9). For extremely short pre-adaptation periods only a single rod curve is obtained unlike to opposite situation, when long pre-adaptation period incurs both rod and cones reaction. Pic. 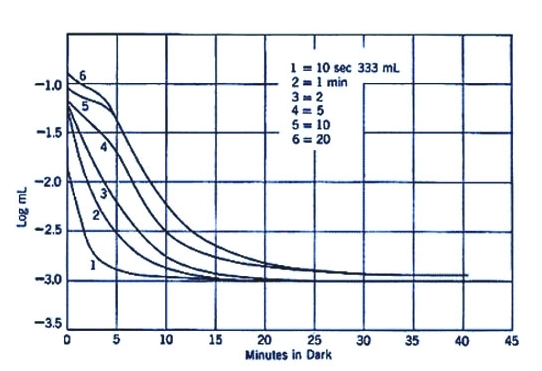 9 Dark adaptation curves following different durations of a pre-adapting luminance (Barlett, 1965). There are also other factors, which affect the dark adaptation like: size and location of the retina, wavelength of the treshold light and rhodopsin regeneration. The wavelength treshold light plays important role in dark adaptation curve affection. Basically a long wavelengths such a extreme red create the absence of a distinct rod/cone break as the rod and cone cells have similar sensitivities to light of long wavelengths. 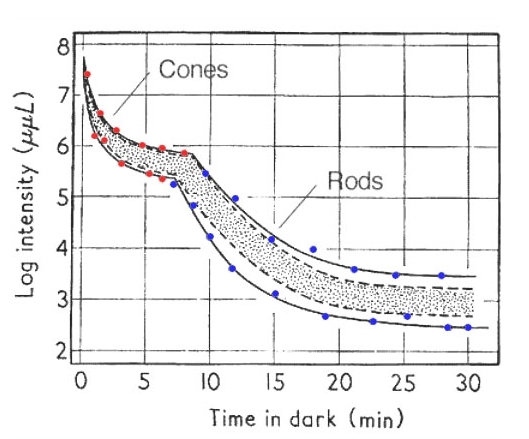 Conversely at short wavelengths the rod/cone break is more prominent, because the rod cells are much more sensitive than cones once the rods have dark adapted (Barlett, 1965). The process of dark adaptation means also changes of the dark adaptation treshold. The dark adaptation treshold indicates the illumination level, where some point or object become visible for observer at this moment. It changes as the eye adapts more for darkness or as some bright light around become stronger. Basically the dark adaptation treshold is an effect of weak light presence against some stronger light available in the vicinity. Usually a stronger light beat up the weaker one, making a dimmer object less visible or even invisible. A good example is a comparison between a single white light from torch and stars seen on the sky. Using a torch to shine a flashlight in the eyes of the observers may change the dark adaptation treshold rapidly, making some dimmer celestial objects temporary invisible for the observer (Pic. 10). Pic. 10 The starburst effect caused by torch light using during the stargazing. Comparison between white and red light. A white light after only 66s exposure appears to look brighter than red light captured with 93s exposure for the following parameters: f/5.6 ISO 12800. For stargazing purpose is much better to use a red light rather than white, because a red light affect much less on the dark adaptation treshold, being highly important at this excercise. Near Horsehoe Bend, AZ, USA. Fortunately, the eye can recover very rapidly from a very brief exposure to bright light, obviously when the light is not bright. In this case is much better to use a red light instead of white, because the rods of the eyes are hardly sensitive to very red light at all (because rods do not distinguish any colors as colors but very red light they do not even respond to as illumination (Schaaf, 2002)). The adaptation to a particular level of light takes place also during the day, however last much quicker than during the night. It can be noticed when thunderstorm approaches . Usually a thick cumulonimbus cloud block most of direct sunlight, turning the daylight into evening or even twilight conditions (especially for interiors) (Pic. 11), which was also discussed in the light scattering issue. Pic. 11 The light transition moment for cumulonimbus cloud approaching. Look carefuly on the cloud base, which is seen from a few kilometers and above your head. When this cloud underside is far enough, then bigger amount of (scattered) lightcoming to the observer’s field of view. In the result the details of cloud bottom are less visible to the observer unlike to situation on the picture 2nd, where this cloud base moves above the observer’s head. Then, as you can see a rightmost part of the picture is much brighter, however the amount of scattered light is much less, giving the rough details of the cloud base structure. Odrzykoń, Poland. Another example can be found when we enter i.e. to basement, where a light level is really low and remains a nocturnal conditions. A total solar eclipse is also an example of significant light changes. In this case the human eye adaptation is still no longer than a few seconds. A key role in light transition plays the huge difference of luminosity between one area and another. A much more illuminated area ordinary draw out the details from less illuminated area, which initially appears to look as a “dark or grey wall”. When observer is closer to the transition area then some details behind this “wall” become visible (as long as the light has been scattered). This is strongly associated with the contrast phenomena issue, that is to be developed in the next section. The moment, when some details of less illuminated region depends on the illumination difference between the bright and darker area as well as the medium, in which the light is scattered. 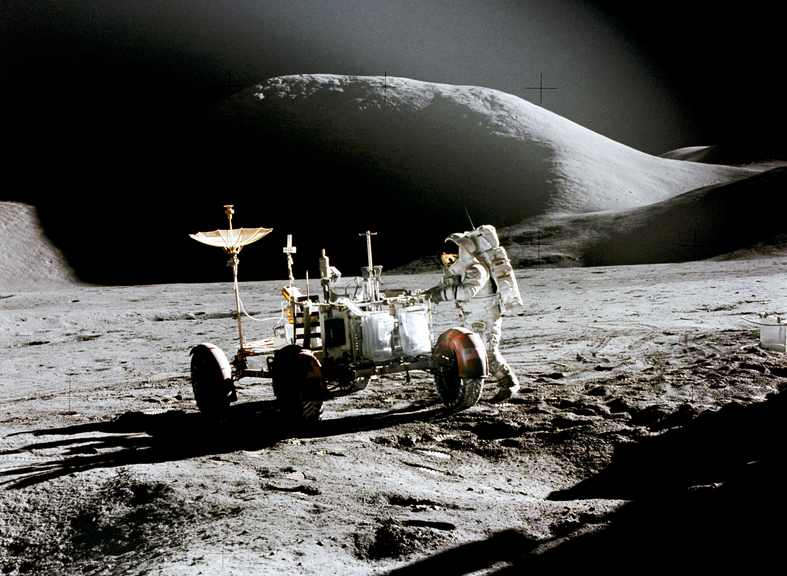 Analyzing the pictures made by Apollo at Moon (Pic. 12) I guess, that this process doesn’t work in vacuum, where is co conditions for light scattering. Pic. 12 Apollo landing site. 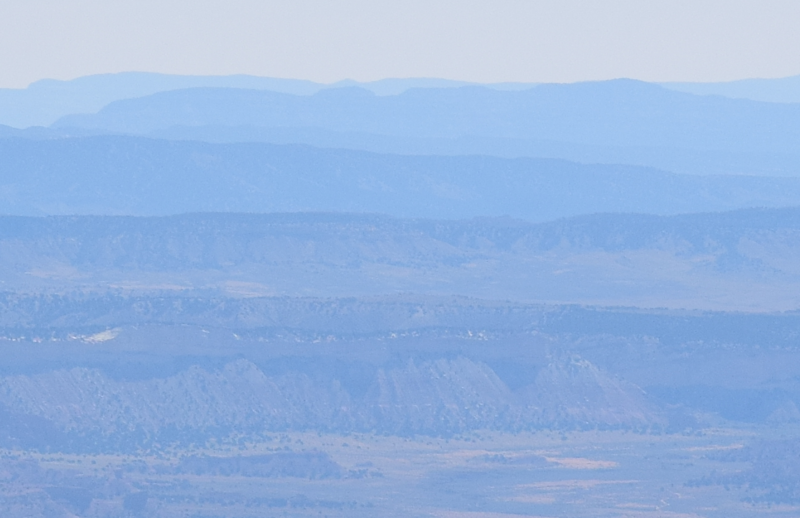 See the shaded hills beyond with no details at all. due to this I can guess, that light scattering doesn’t exist or is at least strongly restricted in vacuum conditions (NASA). By the other hand the light will be reflected from illuminated objects giving any illumination for shaded ones. This factor can be also considered in medium, where depends on the object properties and kind of medium will be stronger or weaker than scattering. Next to the dark adaptation a main role in the perceiving of the light transition plays also a contrast. Contrast is a difference in luminance or colour, that makes an object distinguishable. In visual perception of the real world, contrast is determined by the difference in the color and brightness of the object and other objects within the same field of view. Pic. 13 The image presents a different contrast amplitude, which varies between upper and lower part of the image. 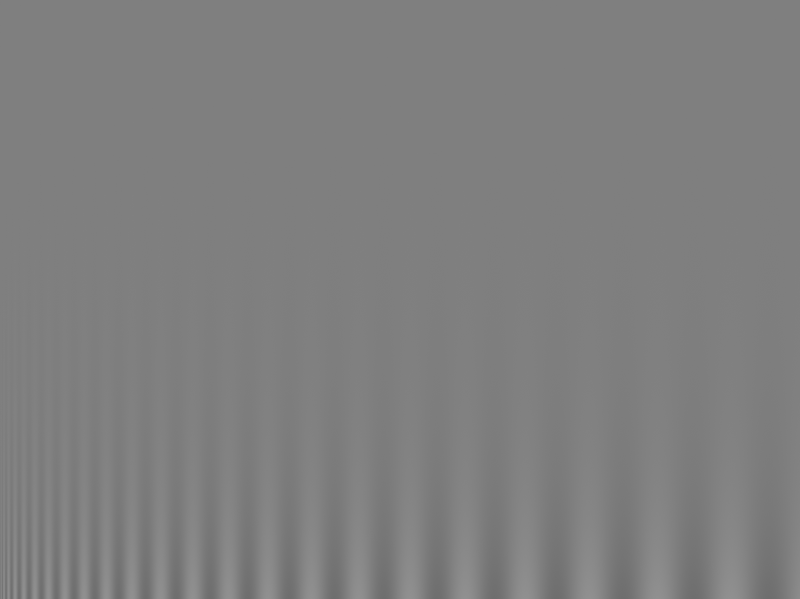 When the amplitude is bigger, then contrast ratio is higher and we can see a more details of the surface (Wikimedia.org). The human visual system is more sensitive to contrast than absolute luminance. Observer can perceive the world similarly regardless of the huge changes in illumination over the day or from place to place. However, in any given moment of time, the eye can only sense a contrast ratio of 1000 (Kitsinelis, 2012). The contrast ratio is a property of a display system, defined as the ratio of the luminance of the brightest color (white) to that of the darkest color (black), that the system is capable to producing. A retina in human eye has a static contrast ratio of around 100:1. It means, that the brightest white is 100 brighter than the darkest black. As soon as the eye moves rapidly to acquire the target, it re-adjust its exposure by adjusting the iris, which adjust the size of the pupil. Pic. 14 Pelli Robson contrast sensitivity chart – the most common test, which measures your ability to distinguish between the finest increments of light versus dark (Psych.nyu.edu). This process is associated with a dark adaptation, described above. Again, the light transition area divides brighter and darker area. When the brighter area is far, then only a “grey or black wall” can be visible instead of the details inside the darker region, because the pupil is arleady adjusted to illuminated, brighter area. Then our eye has much better visual perception of objects being in illuminated area unlike to another area being shaded, where the visual perception is really poor. Situation changes, when the shaded, darker area approaches and illumination level of brighter area in field of view start to decrease. Then the details of the shaded region become visible. This is a rough moment, when human eye adjust to new level of illumination. Analogue situation occurs when in our field of view are two different brightness regions close to each other. Then our pupils open and closes adjusting the view dynamically like a video camera. In conclusion, when illuminance difference between two separate regions is lower, then contrast ratio is bigger. In the effect we can have more distinguishable details on both regions. Conversely, a huge light level difference between two regions (like clear and cloudy sky) decreases a contrast ratio. The result is lack of discernable details in one of the region, depends on its prevailing presence in our field of view. For instance, when looking on bright region, you can distinguish only the bright region features, the darker one appears to be featureless (Pic. 15). Pic. 15 Usually clouds reflect a bigger amount of light than ground do. 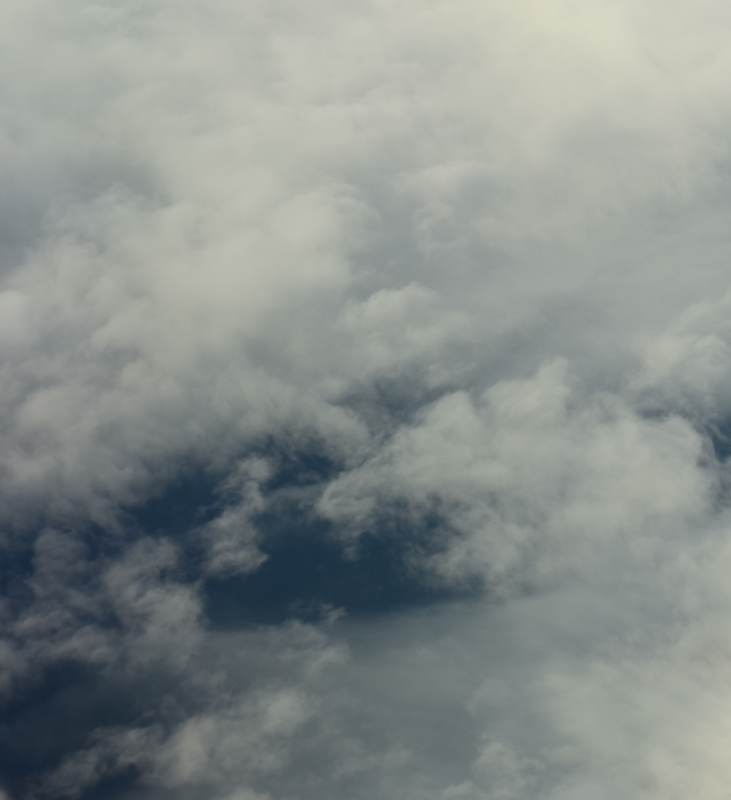 In the result the could cover see from the aircraft cruise altitude appear to look bright grey or even whitish. Shaded ground is much darker underneath. The contrast ratio is better pronounced for clouds being brighter and occupying most of field of view. Shaded ground plays a minor role in this picture (also the observer eye field of view), so contrast ratio is really squeezed without any details discernable. OSL-OAK. The human eye can sense a contrast ratio up to 1000. Eye adapts its definition of what is black. Is worth to mention about the contrast sensitivity, which measures the ability to discern between luminances of a different level in a static image. To make it simple contrast sensitivity describes the ability of the visual system to distinguish bright and dim components of a static image, how much contrast is needed to perform a particular visual task. The contrast sensitivity is equal to 1/Contrast-treshold. It means, that contrast sensitivity defines the treshold between the visible and invisible (Pelli, Bex, 2013). The contrast threshold is about 1% for a wide range of targets, independent of size and luminance (Pelli, Bex, 2013). 4. LIGHT TRANSITION IN PHOTOGRAPHY. CONTRAST AND DYNAMIC RANGE TECHNIQUE. The light transition phenomena is to be noticed also in photography and movies. Before I start to describe it I would like to bring some information about a dynamic range, which has similarities with contrast ratio. The dynamic range is commonly used in photography when the big luminance range scene is being photographed. A dynamic range technique is used also for the limits of luminance range that a given digital camera or film can capture (Myszkowski, Mantiuk, Krawczyk, 2008). A basic aim of the dynamic range technique is to make the image capabilities comparable to the capabilities of the human eye. Dynamic range is the range of information between the lightest and darkest part of an image, also known as an image luminosity. We can distinguish a Standard Dynamic Range (SDR) and High Dynamic Range (HDR). The basic difference between these two dynamic ranges is ability to show the details and colours of the scene in the picture in comparison to the ability of human eye. Standard dynamic range (SDR) is the current standard for video and cinema displays. It represents only a fraction of the dynamic range, that HDR is capable of. The High Dynamic Range allows you to see more of the detail and color in scenes. The 6-stops range of Standard Dynamic Range has a limited dynamic range (Borer, Cotton, 2015). It results a big contrast of the image with lost details of the darkest and the brightest areas. In the result a shaded areas appears to look dark without any details and sky (especially cloudy) appears to be completely white, also without any details (white sky effect)(Pic. 16). Pic. 16 A white sky effect is common in the pictures taken with Standard Dynamic Range, when majority of image is occupied by much darker areas. 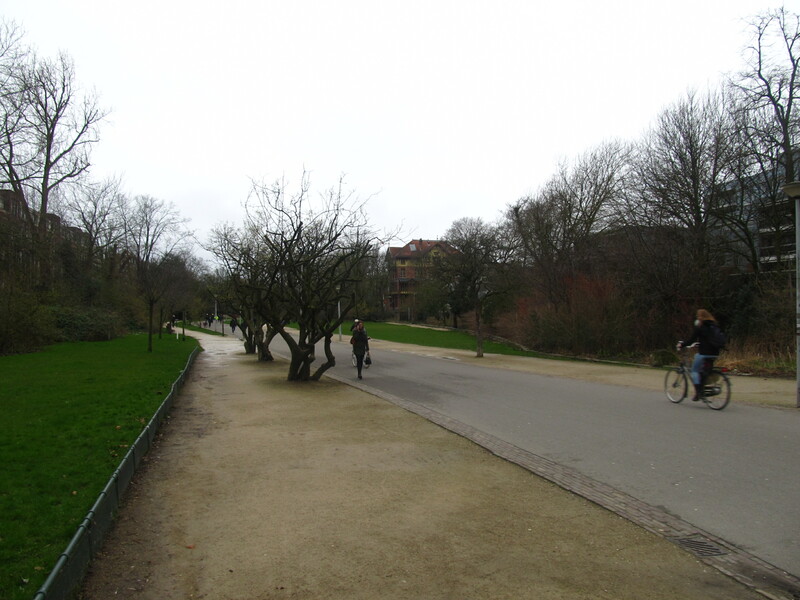 Vondelpark, Amsterdam, Netherlands. Conversely a High Dynamic Range (HDR) is able to gain almost triple than Standard Dynamic Range (SDR), with an average approximate total of 17.6 stops. In the effect, in place where in SDR image we could see almost nothing, HDR allows us to see much more details. HDR images can represent a greater range of illuminance level, than can be achieved using more traditional methods unlike to SDR providing limited exposure range with loss of detail in highlights or shadows. 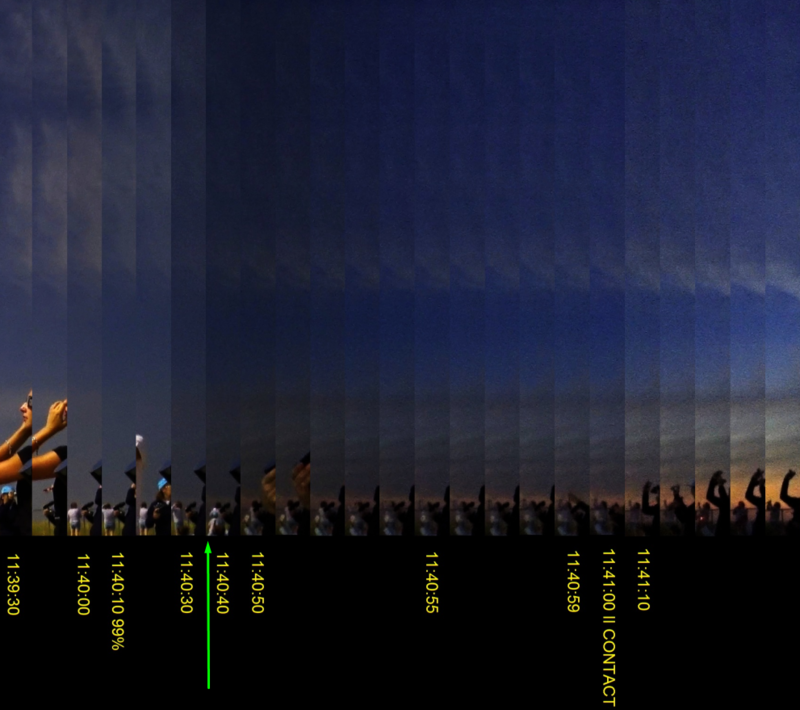 The best moment for comparison between SDR and HDR image technique is capture the sunrise or sunset (Pic. 17). Pic. 17 2 random examples of photos, where we can compare an SDR and HDR technique. 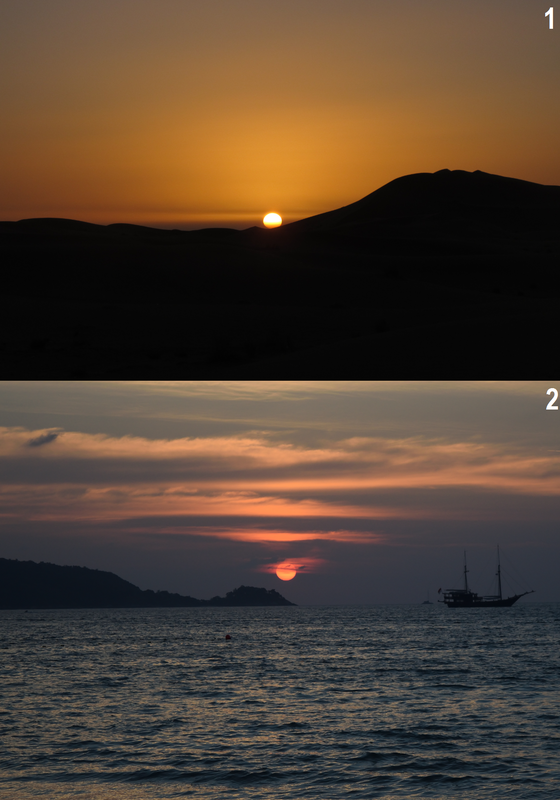 Picture 1 – SDR technique, sunrise above the desert, 2 – HDR – sunset above the sea. Despite the different surfaces and slightly different weather conditions both pictures differ from each other quite a lot. The digital cameras as well as human eye needs adaptation to rapid changes of illumination level caused the transition from illuminated to shaded area. A single photo cannot show us this difference unlike to footage. To experience it we need to place the camera or camcorder near the border of two areas with different illumination i. e cloudy bright sky and the building wall. You will see the moment of light adaptation of your instrument. This example clearly refers to the light transition between illuminated and shaded area in our field of view. The same exercise can be done with single images, where your field of view moves between the single images, covering darker or brighter areas (Pic. 18 – 22). Stacking all pictures together you can see every step of light transition recorded by your camera. The human eye respond on light transition is analogous, however the pupil is less sensitive on light changes than camera sensor does. Pic. 18 An example of less pronounced light transition on the wall due to a big distance from photographed object. Comparing 1 and 2 to 4 you can see what is the difference within shaded region. Nikon D5300. Pic. 19 A rough example of light transition on the bricked wall from a short distance, made by stacking a few pictures including a different part of illuminated and shaded areas. As shaded area covers more picture frame, the photographed surface become brighter. At sequence 1 we can see roughly the details of illuminated part of the wall, conversely the sequence 7 shows the same details for shaded region. Nikon D5300. Pic. 20 An rough example of light transition as given by white surface, where every single picture varies within illuminated and shaded areas. Nikon D5300. Pic. 21 Light transition within shaded area, made by stacking a few pictures with a different part of brighter and darker areas. 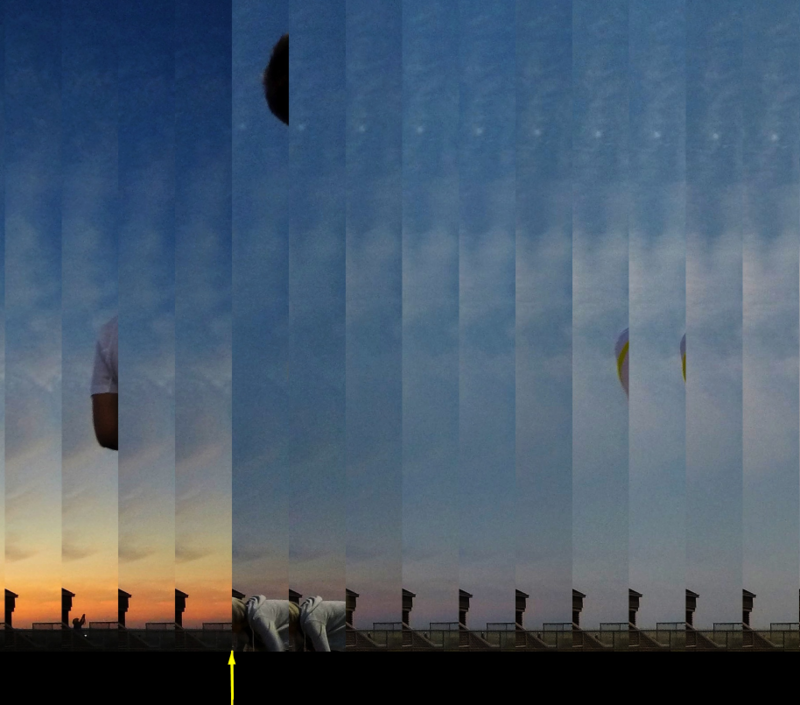 Sequence 1 shows perfectly the sky, with very little details of the ground objects. 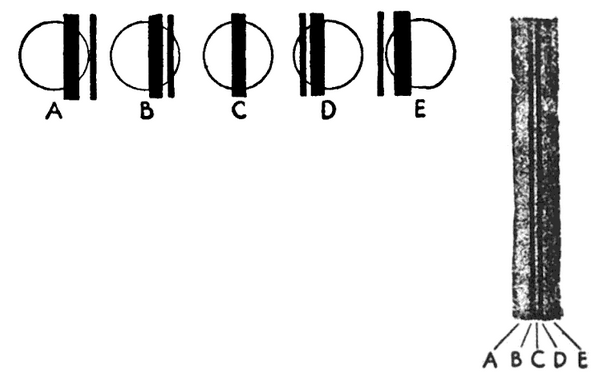 Sequence 6 is a contradiction of the sequence 1, where ground is clearly visible with white sky effect. Nikon D5300, Corrie Road, Cambridge, UK. Pic. 22 An example of light transition, as we can observe between illuminated and shaded areas. The illumination source can be Sun or another considerable object like Moon or street lamp. The mechanism is the same. When this source dissapears behind some obstacle or object, then we become able to see more details of shaded areas. The light transition in photography aspect we can understand as a balance between a highlight and shadow, that is to be adjustable in common graphic software like Gimp, Photoshop, etc. The common examples of the transition phase of light has been listed below. A. TOTAL SOLAR ECLIPSE – the best example of light transition in macroscale, which occurs in a brief moment. The transition phase, that occurs between about 30s before totality to around 20s “inside” the umbra causes a multitude of phenomenas, that are going to be described soon. 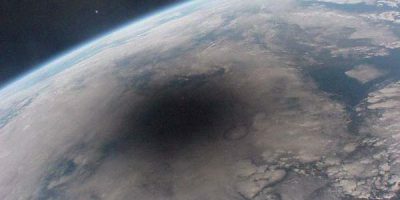 A total solar eclipse seen from the space looks like a dark dot surrounded by area of gradually dimining light (prenumbra or half-shadow) making the shadow’s edge soft and gradual (Pic. 23, 24). Pic. 23 The light transition example during 2017 total solar eclipse at about 25s before 2nd contact (marked green arrow). This is a rough moment, when details in the background become visible. 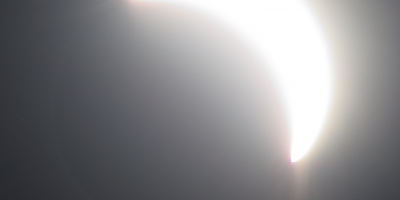 The rough moment of transition is driven by solar position on the sky and backward scattering (credits: Marek Substyk footage). Pic. 24 The light transition example during 2017 total solar eclipse at the moment of 3rd contact (marked yellow arrow). The rough light transition moment has been marked by forward scattering (credits: Piotr Chabior footage). 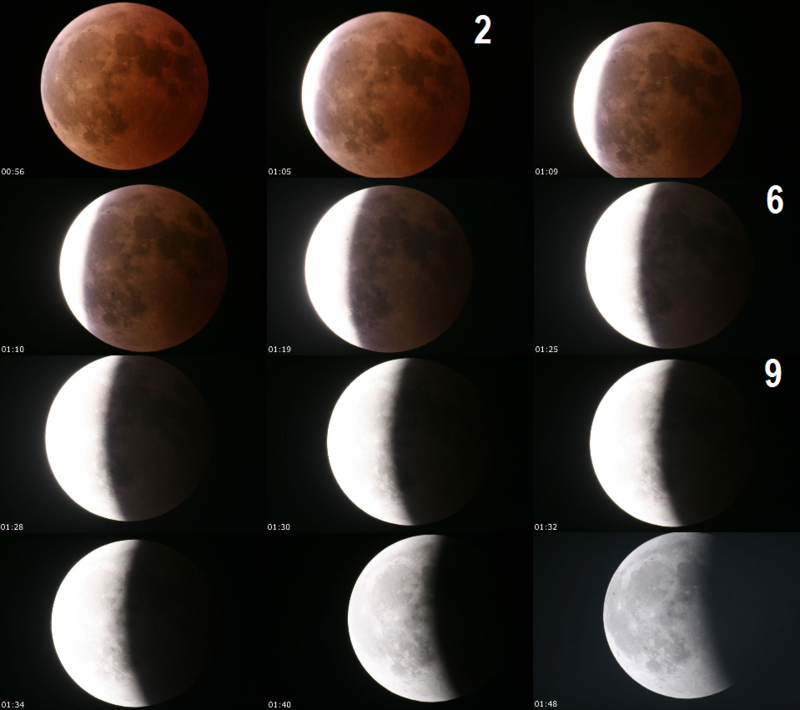 B. LUNAR ECLIPSE – is a very smooth and slow example of light transition, which occurs in the nature. Basically a transition area is the shadow edge. Similarly to the total solar eclipse there is partially (prenumbra) and totally (umbra) shaded area. The transition area is marked by shadow edge, which gradually moves across the lunar disk. At the prenumbral phase we can see only a dimining lunar disk, that is less bright towards the side of Earth’s shadow approaching. Once the shadow edge become visible the observer can see nothing beyond the transition line. This is because the pupils are still adapted to brighter part of the eclipsed Moon, thus only in the highlight region we can see the details. The situation changes as the eclipse progresses. About halfway through the partial eclipse observer cannot see the details neither a shaded part of the Moon nor the most illuminated one. Only visible details are located near to the transition area, where the sunlight is deeply eclipsed. On the other side the limb of shaded part of the Moon starts to be visible. At the deep partial lunar eclipse a human eye is adapted to dim light reflected by eclipsed Moon’s surface, thus some details “behind” the transition area are visible unlike to still highlighted area, which appears to look completely white and featureless (Pic. 25). Pic. 25 Light transition example as seen during total lunar eclipse on 4.03.2007. Here is 12 single images captured, where some of them has been marked as a major moments of light transition process: 2 – U3 contact, where light transition process begins. Comparing to sequence 1 a right side of the Moon is less visible. 6 – Next step of light transition process, when an umbral region becomes invisible for human eye and illuminated regions of the Moon starts to reveal some details, especially near to the umbral edge. 9 – As umbra receeds, the illuminated part of the lunar disk shows more surface details, initially near the umbral border and next across a whole shined surface (Slooh.com). C. EARTHSHINE – is a dull glow, which lights up the unlit part of the Moon as a result of the sunlight reflection from the Earth. The best time to see earthshine is up to 5 days before or after new Moon. 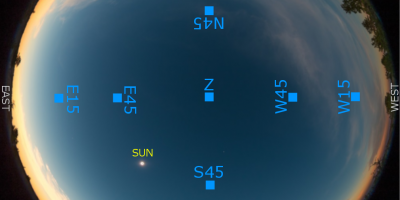 The best conditions to see earthshine are when Sun is below the horizon. In spite of considerable brightness (-3 mag) it cannot be seen during a full daylight, because is ordinary drown out by the Sun being in angular vicinity. The phenomena become visible when Sun is close to set. In case of Earthshine the light transition area is determined by terminator line. At the very first days after new Moon, earthshine have the best appearance, because is bright enough against to a thin crescent illuminated by Sun. Earth’s atmosphere impairs its appearance effectively, because the Sun is not deep enough, making a strong light scattering. As Moon moves further from the Sun earthshine faints. A basic reason is a change of the Earth’s phase from full to waxing or waning, that reduce an area of light reflection. A weaker earthshine successively yelds a lunar crescent, which become wider and brighter at once. When Moon is close to first or last quarter then earthshine is drown out completely by the much brighter, illuminated part of the Moon. An observer can only spot a faint shaded lunar limb, which at first or last quarter become invisible. In this case a light transition occurence overlaps with weakening of reflected light, coming from the Earth (Pic. 26). Pic. 26 The light transition in case of earthsine. When Moon is closer to be full, then earthshine dissapear, which is a reason of weakening reflected light coming from Earth, as it become waning and thinner. 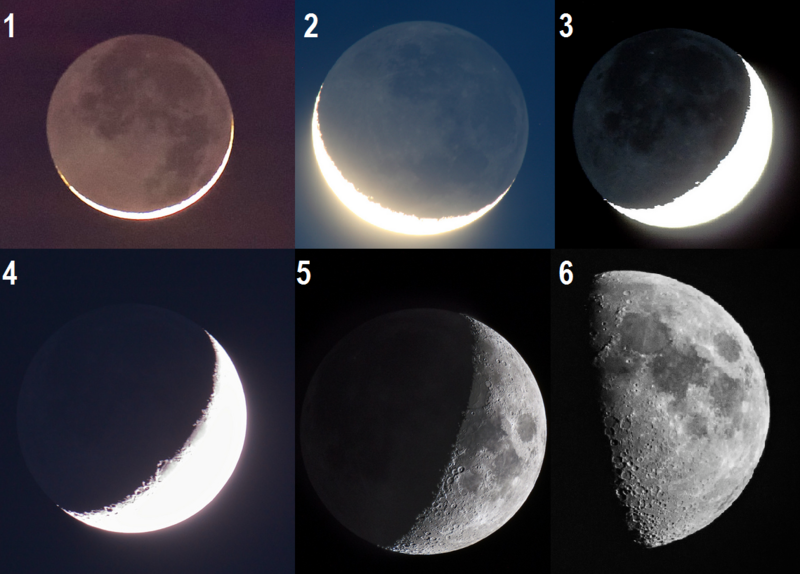 Usually we are not able to see earthshine after first quarter and before last quarter of Moon (Flickr.com). D. THUNDERSTORM CLOUDS AND CLOUD DECKS – are the most massive clouds as we can see on the sky. 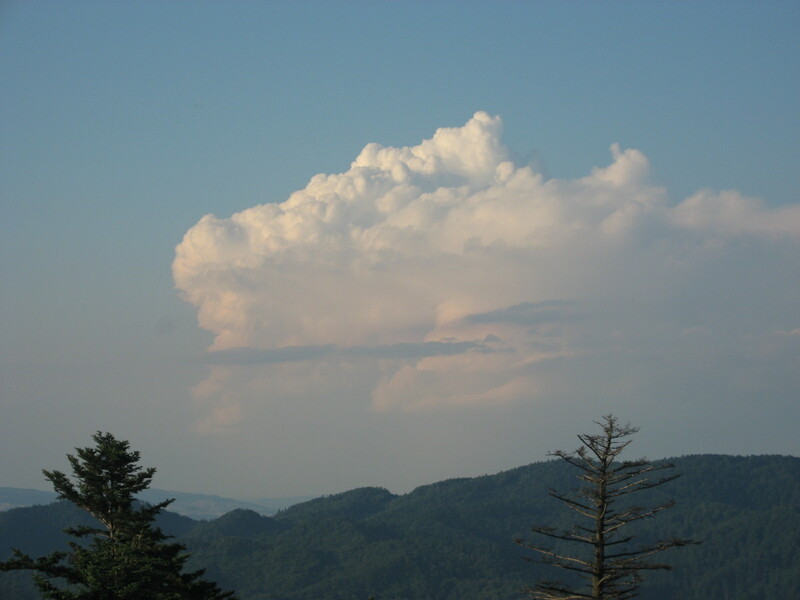 The biggest is cumulonimbus capillatus with a remarkable top. However this is not aim of my consideration, because I would like to point out at the cloud base. The effect, that I will describe below can refer also to another clouds, which are thick enough or at least uniform. When cloud is far from the observer, he can see only the illuminated parts of the cloud both from edges and from the gaps inside. When cloud appears as a uniform layer then observer is not able to see the shaded details. For person standing in a distance to cloud the cloud base will look like a “grey wall” spreading down to the horizon. 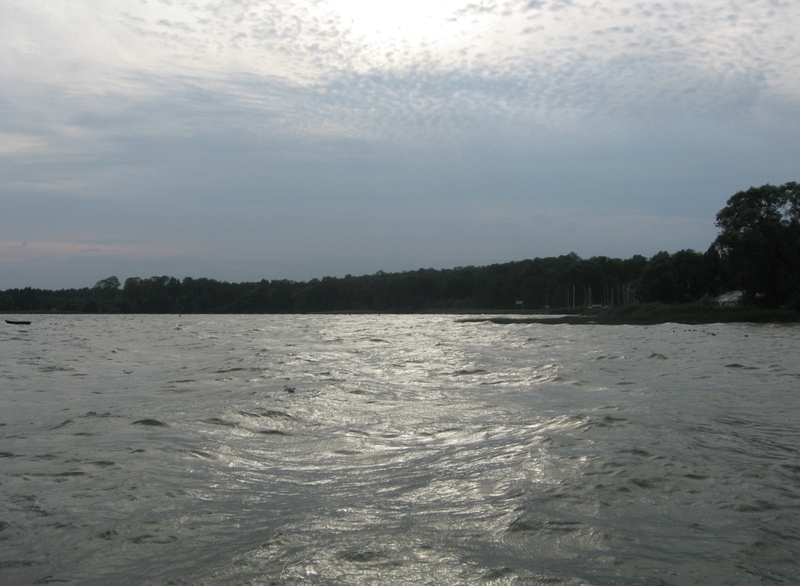 This is because the area of sky, being illuminated directly by Sun plays a main role. Moreover the light reflected from the upper parts of the cloud is also strong, much stronger than light reflected by inner parts of the cloud base. 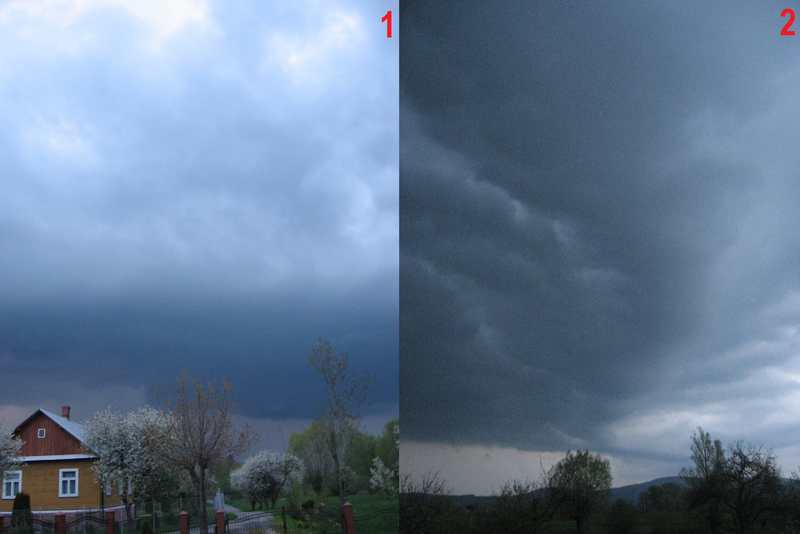 The situation changes when cloud approaches closer to observer. The gaps or areas being directly illuminated by Sun become more discernable. On the other hand a brighter parts of the shaded cloud base become visible. Everything happens due to decrement of the illumination in our field of view, which incur an eye adaptation to darker conditions. A light transition area definitely leads to change the contrast of cloud base, making all its details clearly visible (Pic. 27 – 30). Pic. 27 When cumulonimbus cloud is far away from the observer, he can see only its parts directly illuminated by Sun. The shaded regions of cloud are featureless for the human eye. Trzy Korony, Pieniny Mts, Poland. Pic. 28 A thunderstorm cloud approaching results a light transition, that allows the observer to see the details within the cloud shadow, such a cloud gaps (red arrows). A blue arrow markes a border between sunlight and shadow, that causes a light transition in local area. Na Błonie street, Kraków, Poland. Pic. 29 When cloud deck is far from the observer, then he cannot distinguish a details beneath the cloud, which appears as a “grey wall”. AGH Student Campus, Kraków, Poland. Pic. 30 Sometimes, when a cloud deck is thin enough an observer can see some cloud gaps inside the earlier mentioned “grey wall”. Niegocin lake, Poland. In this case th light transitionphenomena can overlap with the Beer-Lambert law, especially under a high haze concentration in the air. E. EARTH’S SHADOW (BELT OF VENUS) – is also a good example of eye adaptation. When the civil twedge is low above horizon, then a highlighted section of sky prevails. In the result observer see only a grey plain-coloured area, just under the transition line. 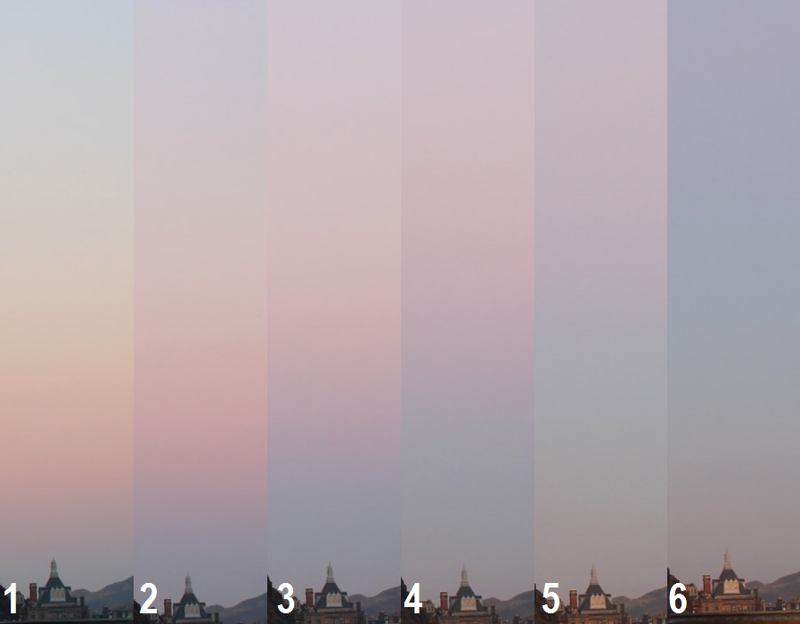 As the Belt of Venus grows up, it changes a tint. Sun is deeper below the horizon, thus illumination of the sky is lower. Moreover the shaded part of the sky prevails on our field of view. As a result of the illumination decrement the observer eye begins to see the different hues of the shaded portion of sky (Pic. 31). Pic. 31 A progress of Earth’s shadow across the evening sky at Edinburgh. For sequences 1, 2 and 3 it appears as a “grey wall” with one tint. Sequence 4 correspond to the Belt of Venus positionwhen Sun is about 3,5-4 degrees below the horizon. This is a moment of light transition, when a shaded part of the sky starts to appear in various hues, which are better visible in sequences 5 and 6 (Deckchair.com). 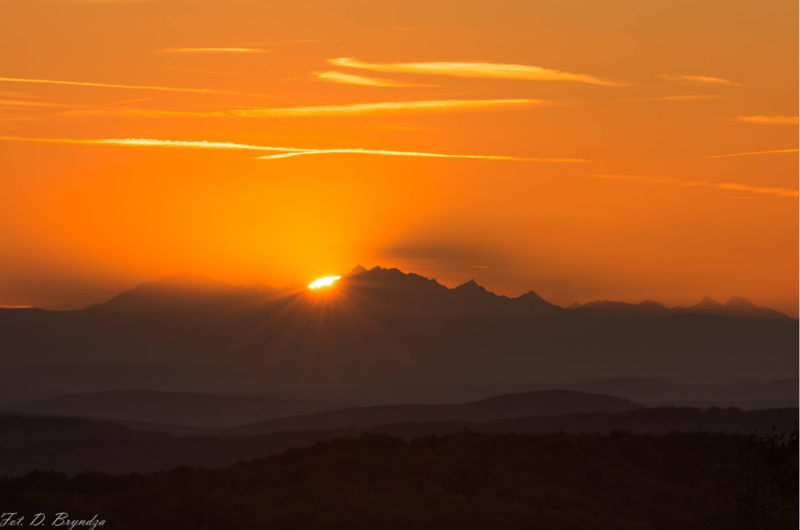 F. SUNRISE & SUNSET TRANSITION – is the same common phenomenon like an Earth’s shado appearance, but refers to the pollutants and haze concentration, on which the terminator line can be visible by observer. 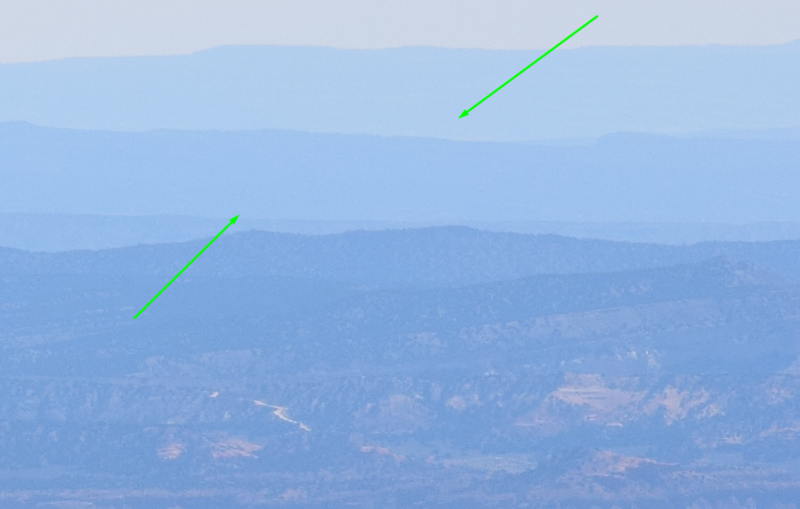 This is quite easy to spot, when looking on remote mountains located close to solar point. Usually shortly after sunset or just before sunrise the mountain’s shadows are visible on the sky due to some haze and atmospheric molecules concentration. The sunset and sunrise transition is an terminator line visible on the sky then (Pic. 32, 33). An opposite phenomena can be see, when standing on the top of alonehigh mountain or volcano at the sunrise and sunset. Pic. 32,33 An sunset transition seen above Tatra Mts as seen from about 1. 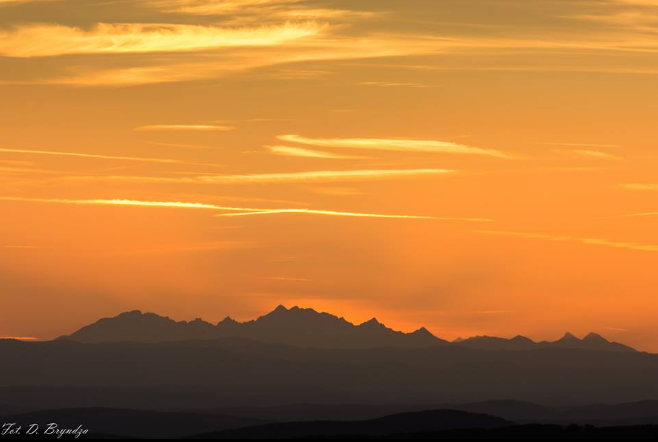 The mountain shadows are visible on the sky due to atmospheric molecules, which scatter the light (Credits: Damian Bryndza). Another example of sunrise or sunset transition can be a dawn’s warm glow phenomena, which has been described previously. G. COMMON DAY-TO-DAY EXAMPLES – for example when you want to see some object towards solar direction you need to shade your eyesight by thumb for example to see it. It refers to any strong source of illumination, i.e. street lamp or when looking towards solar direction (Pic. 34). Pic. 34 When looking towards solar direction usually you got much more illumination, than towards antisolar direction. in the result some deep shaded areas can hide their details. When street is illuminated by street lamp we can see the illuminated area perfectly, but the region behind the street lamp remains invisible or barely visible for observer. The details emerge at the light transition area, when the moment of eye adaptation occurs. Always stronger illuminated source eliminates a weaker one, being in the vicinity or behind. A good example, that has been mentioned above is watching a dimmed areas during the day (Pic. 35). For instance, when you look on some big hole under full sunlight conditions, like a cave, well or a basement then you can see nothing, because your eye is adapted to full light conditions instead (Pic. 35). On top of that the ambiance is illunation directly by solar beams, reflecting the light much stronger than objects being inside this shaded hole, which reflects only light scattered in the atmosphere. As our sight approaches closer to this shaded area, our view of sight loses the regions with stronger illumination and the interior objects become visible. In this case a transition area is the moment, when our sight range likewise in cameras begin to cover a shaded area only. Pic. 35 A dimmed and deep shaded areas can be seen only, when excluding a high illumination level from your field of view. Corrie Road, Cambridge, UK. Pic. 36 A good example of big illumination level difference under the full daylight conditions. 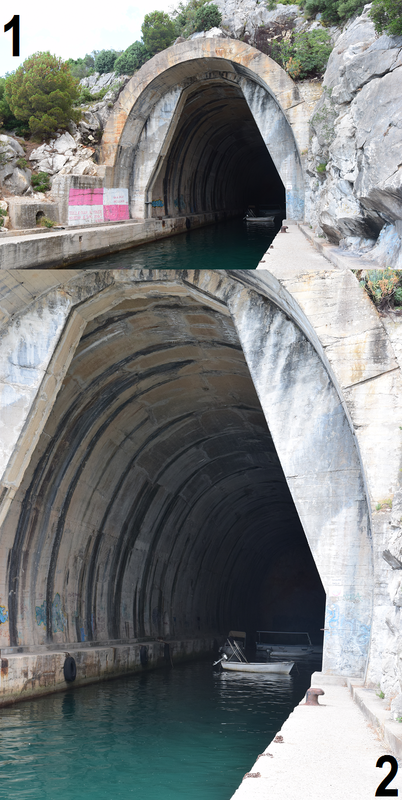 A deep shaded tunnel, where: 1 – seen from distance with less amount of details to be discerned by observer, 2 – seen from the vicinity with the interior details better visible. Duba, Croatia. In this article I have presented a live examples of light transition, which occur everywhere in space and our environment on the border between highlighted and shadowed areas. There wasn’t better way to show it as taking a pictures and preparing some relevant movies. Unfortunately these materials doesn’t reflect perfectly a real light transition phenomena as an human eye is able to see. The human mind is able to intelligently interpret the information from our eyes, unlike to the cameras, that does it manually and sequentially. The basic and well known principle is, that stronger source of light draws out the weaker one, especially when situated in the vicinity or beyond. The light transition area cannot be noticed abruptly, because a human eye needs the time to adapt. The duration of adaptation depends on the difference of illumination level between the highlighted and shaded area. The eye adaptation as well as a digital camera can be strongly associated with a specific form of light transition, unique for every field of view. It happens anywhere, when illumination level in a field of view drops rapidly. Moreover the light transition area itself is not a rough line. This is an transition area between the light and shadow, that we call a half-shadow. It is typical for all distances, from i.e. the paper sheet located a front of your eyes to the interplanetary distance. The most significant moment in transition is the border between a half-shadow and shadow, which is because illumination level drops logarithmically. An important factor is the atmosphere reach in aerosols and molecules, that scatter the light additionally making the transition phase more smooth. Except the natural issues a key role plays an human eye adaptation to rapid changes of illumination level as well as a modern photography techniques, giving a chance to extend the contrast range in the field of view. This topic is much wider than issues raised in this article. I hope, that this material as well as references provided give you a way to find more about this occurrence also in terms of a different fields. Barlett N.R., 1965, Dark and light adaptation (in:), Graham C.H., Vision and visual perception, John Wiley and Sons, New York. 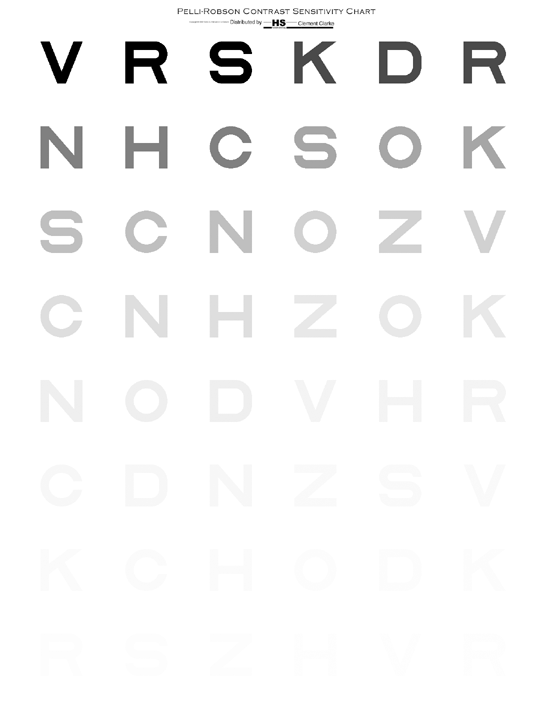 Pelli D.G., Dex P., 2013, Measuring contrast sensitivity, (in:) Vision Research, v.90, p.10-14. Pirenne MH, 1962, Dark adaptation and night vision (in:) Dawson H., The Eye, vol. 2, Academic press, London. Reis J.K., et all., 2016, Pollutant dispersion simulation during sunset transition time using an analytical Eulerian model, (in:) American Journal of Environmental Engineering, vol.6 (4A), p.40-45. Schaaf F., 2002, The starry room: Naked eye astronomy in the intimate Universe, Dover Publications Inc., New York. Contrast ratio – what does it really mean?